The stiffness measuring method for bicycle frames is not standardized, leading to a wide variety of test setups; they differ in many aspects such as applied load, support constraints and frame deflection measurement. 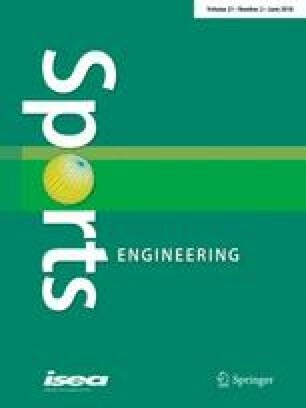 The aim of this paper is to draw attention to this problem and to quantify the perturbing, unwanted side effects that influence the stiffness measurement of the bicycle frame. This is illustrated by developing a multi-purpose rating test method for bicycle frame stiffness. The proposed test rig design considers different aspects which should be taken into account when measuring the bicycle frame stiffness. In the experimental setup, it is observed that the contribution of the test bench compliance led to 21% difference in the frame stiffness results; the influence due to the head, the tube-bearing type the corresponding preload resulted in up to 19% difference in the stiffness results between the lowest and highest stiffness values measured; hysteresis effects caused by pulleys are estimated to introduce errors up to 11%; and the influence due to the operator variability and sensor accuracy is estimated to be less than 3%. This work was supported by the Agency for Science by Innovation and Technology (IWT) [Grant number 120789] and by Eddy Merckx Cycles. No human subjects were involved in this study.